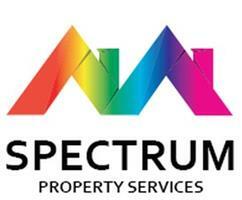 Spectrum Property Services - Home Improvements, Painter/Decorator based in Lee-on-the-Solent, Hampshire. Hi, I am Neil, the proprietor of Spectrum Property Services. I have worked in the residential & commercial marketplace for over 15 years & set up Spectrum 7 years ago. My services are predominantly for residential, commercial & letting customers, but would like to expand further afield. I have been involved with several quality house building companies, from both a sales & customer service prospective, so was responsible for meeting the demands of both client & customers’ expectations & satisfactory outcomes. This has led to ongoing projects within exclusive properties in the Chelsea & Knightsbridge areas of London & on the South Coast. Currently, I am one of the chosen property maintenance companies with local based letting agents, coupled with contracts with local builders & project manage a maintenance contract within a large residential development. I also have a team of skilled tradesmen with whom I have a working relationship with, if needed & all offer a high standard of work & professionalism. Shelf, Curtain Poles, Picture Hanging etc. I would appreciate the opportunity to work with you & for you, offering a free initial consultation & quotation for any work or projects you may have coming up. We'll treat your home as if our own!